Today, more then ever, industry demands more reliable and highly engineered products and equipment. That’s why Alltek Seal and Packing provides large OEM's with engineered sealing solutions - technologically advanced sealing devices and materials that can keep pace with the tighter tolerances, higher temperatures and more aggressive chemistries found in the modern machine. Alltek’s sealing products have the unique combination of experience and innovation built right in, and we’re able to supply them quickly and cost effectively to fit virtually any application you have. No matter where you are, Alltek Seal and Packing is there with engineered solutions to tough sealing problems. 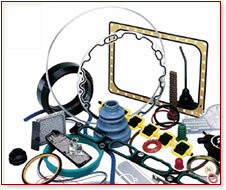 Your local Alltek sales representative provides a single point of contact for local sealing support. And our worldwide headquarters, located in Jacksonville, Florida, is the hub of our distribution network. This network – and the global sales and engineering support it provides – means you can always get quality products when and where you need them. It also means that sound advice from an Alltek sealing expert is never far away. Alltek Seal and Packing is an authorized Parker distributor and your connection to Parker’s engineered sealing solutions. With over 60 years of experience we are one of a handful of qualified distributors authorized by Parker to act as full-service sealing specialists in their local area. Alltek is proud to offer applications assistance, inventory management, kitting and assembly services to help you streamline operations and reduce costs. Today’s sealing challenges demand innovative solutions, and nobody knows innovation better than Alltek. Drawing from over six decades of combined industry experience, we continually develop new ways to meet your evolving sealing needs. Our Parofluor™ Series Advanced Perfluorinated Elastomers and the ProTech™ Bearing Isolator are excellent examples of innovation at work. Quality leads the way at Alltek; Our ISO 9000 approved system is based on employee empowerment and continuous improvement. We’re constantly striving to improve customer satisfaction and product quality. Help us surpass our goals by taking a moment to fill out our Customer Survey.